The political deployment of corporate wealth has escaped not only the constraints of constitutional rules but even the debates over those rules. Doesn’t the removal of corporate decisions into the hands of judges and corporate lawyers challenge individual freedom as much as a ‘nanny state’? 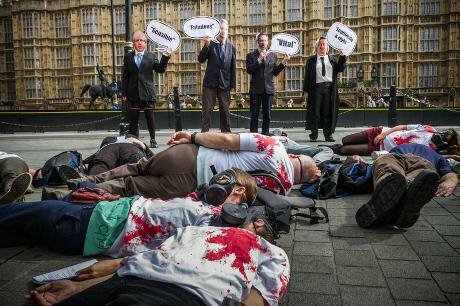 Outside Parliament protesters highlight the connection between Westminster politicans and the arms trade, as major international weapons companies take part in the Defence Security and Equipment International (DSEI) fair in London in 2013. Demotix/Guy Corbishley. All rights reserved. That vast corporate wealth presents a political problem is by no means a new observation. From the enormous wealth of the US oil barons of the early 20th-century to the protected national champion firms of France that preceded the formation of the European single market, giant corporations have long kept themselves close to politicians and public officials. Going further back, the corruption and distortion implicit in such relationships inspired many of the ideas of Adam Smith and other advocates of the free market, which was supposed to sever the links between economic activity and political power. Is there any reason why the issue should occupy any particular place on the political agenda today? And if so, what should or can be done about it? According to the dominant ideology of our times, the problem of relations between economic and political power should today be less than at most other times. Neoliberal strategies, it will be claimed, have ensured that markets and free competition rule; governments intervene less in the affairs of firms, and therefore there are fewer opportunities for any distorted relations. In fact, little could be further from the truth. Under actually existing neoliberalism (as opposed to the theoretical), the doctrine of the free market has been contorted so that ‘corporation’ becomes almost a synonym for ‘market’, with some extraordinary political implications. The economic theory of the market has no place for the idea of power. It is one of the defining conditions of a true market that there is such a large number of buyers and sellers that no single participant is large enough to affect a price by its own actions. Everyone is a price-taker; no one is a price-maker. It is the task of competition policy to ensure that this condition is not violated. If that can be successfully achieved then, by definition, there is no such thing as economic power. Now, this assumption is not only fundamental to economics but also to political theory. Debates over the balance of power in constitutions and over the conditions of equality needed to safeguard democracy usually concentrate on formal political institutions and other organisations, such as parties and trade unions. The questions of power and how to limit and check it and make it behave in democratically acceptable ways are applied to these institutions, but firms are almost never considered. The only defence of this is the above argument that firms, existing within and being subject to the rules of the market, cannot possess power. Furthermore, the argument would run, the conditions of market competition ensure that firms will have no resources to spare to play at politics. If markets are perfect then this contention holds. But many markets are far from perfect, and this has enabled the political deployment of corporate wealth to escape not only the constraints of constitutional rules but even the debates over those rules. I have discussed elsewhere (Crouch 2011) the different ways in which the markets of the contemporary neoliberal economy are imperfect, fundamentally weakening the barriers that prevent economic wealth from being converted into political power. The next section surveys the main issues. First, in many markets it is not possible to have perfect competition, as the numbers of viable market participants are too small. This seems to be the case for aircraft production and armaments, most of the energy sector, large parts of information technology (from computer systems to internet search engines), mass-market foods and supermarket chains, mass-market banking and some other parts of the financial sector – and many others besides. This does not mean that no competition takes place in these sectors, as several instances demonstrate (such as supermarkets). Nevertheless, dominant market participants are able to affect prices and shape conditions in the market. They have prominence in the market and are not price-takers. This gives them a public role and a capacity to engage in public life. Because of their market dominance, they are able to amass vast wealth, a proportion of which they can devote to lobbying governments or financing political parties and causes. For firms in true markets, political activity presents the familiar problem of collective action: their contribution to politics will be too small to make a difference, while they will gain from any successful political lobbying on behalf of their sector – in a true market, where participants are all anonymous, all gains have to be generally shared. By contrast, large corporations in oligopolistic markets do not face a collective action problem: their own activities have a perceptible effect. Further, not being anonymous but being market movers, they can often target lobbying gains to their individual rather than sectoral advantage. Therefore, once one such firm becomes active, the others need to do so as well, or they will miss out. For firms in perfect markets, the logic of collective action is a disincentive to the political deployment of economic resources; for those in oligopolistic markets the incentives are exactly the other way round. The tacit assumption of political theory that corporations cannot possess power because they operate in a market is therefore false. Second, it is essential for a properly functioning market economy that inefficient individual firms can leave it without disturbing the market overall – in a perfect market both entry and exit must be easy. If corporations are so large that their demise causes a shock to the market then that market is not a true one, and governments are likely to have to intervene to cope with a crisis. This is what occurred on a global scale in the 2008 financial crisis. The fact that banks were deemed ‘too big to fail’ was both a demonstration that the market was highly imperfect (there was no easy exit) and produced the paradoxical consequence that some banks acquired political power by the very fact that they had been incompetent. They were able to hold governments and ultimately taxpayers to ransom. the rules that they find oppressive. Ironically, the process of getting government out of the way of business has involved business getting very much in the way of government. The International Monetary Fund has reported on the role of business lobbying in the US deregulation process, seeing in it some responsibility for the financial crisis (IMF 2010). Fourth, in pre-neoliberal times, the problems of inadequate competition were usually tackled by governments providing services – such as household energy, water, telecommunications, postal and rail services – through public sector organisations. However, neoliberal ideology required the privatisation of these activities, which resulted in monopoly or oligopoly providers, as with some exceptions (certain elements of telecommunications services, for example) it has not been possible to create true markets. Regulatory systems are established to try to ensure that pricing and other policies of contractors follow what might have been expected to happen had there been real competition. Constructing what might have been is a complex task, providing opportunities for debate and lobbying. Regulators need expertise to do this work, and the corporations are frequently the main source of that expertise. This enables them to become insiders to a process that is supposed to be regulating them, and these firms have a particular incentive to develop a capacity to befriend and lobby regulators and their political masters. Another device to introduce some competition into monopoly service provision has been to grant contracts for a limited number of years, there being ‘real’ competition at the bidding stage at least, if not during the course of a contract’s term. The number of firms able to enter these competitions is usually limited, as the cost of putting together complicated tenders presents an entry barrier to small and medium-sized firms, but there can be some element of competition. However, if contracts run for only a small number of years, contractors have little incentive to lay down infrastructure for the long term, and service quality becomes poor. On the other hand, if contract terms are long enough to provide that incentive (say, 20-year spans) then the element of competition is reduced to applying only in very small windows indeed. Fifth, neoliberalism also requires the contracting out to private firms of many services where, for various reasons, governments rather than individual users are the customers. The customer in a market relationship is the person or institution that pays the bill, which is not necessarily the user. This applies, for example, to education, health, social care and police services. Similar points apply here as in the case of full privatisation, except that the incentives given to corporations to become political actors are intensified. Because governments themselves pay for these services, often for sound social policy reasons, the only market relationship is between a corporation’s contract negotiation staff and some public officials; there is no day- to-day relationship with the ultimate consumer as takes place in the normal private sector. The commodity that is traded in the market is the contract to run the service, not the substantive service itself, which is delivered outside any market relationship. Firms therefore have a very strong incentive to put extensive resources into cultivating relationships with politicians and officials involved in the contracting process, and this necessarily makes them political actors. It is notable that only a few firms are usually engaged in this contracting business, and these firms tend to spread their activities across a wide range of sectors. Firms originating in industries with very long histories of government contracting, such as road-building, security services and armaments, are particularly prominent. They can now be found running such diverse services as local government administrative support, schools and prisons. Their core business and expertise does not lie in the substantive areas in which they are active, but in the general task of winning contracts with government departments. This is a task that rewards political lobbying and close relations with officials and politicians. It is the kind of relationship that Adam Smith thought would be brought to an end by a free market economy. Finally, an important hypothesis of neoliberalism has been that governments and truly public services are likely to become inefficient because they do not benefit from the constant pressure to innovate and reduce costs that market competition provides. This accounts in part for the insistence on privatisation and contracting out. It has a further implication, in that public officials are considered to benefit from maintaining close relations with private sector managers, including the temporary secondment of the latter into public service positions. Something of the private sector is expected to ‘rub off’ on to the public service in the process. In this way, the barriers erected in an earlier, liberal age against close contacts between these two groups have been removed. Classic liberalism saw a need for both the state and the market economy to safeguard their own autonomy by keeping a distance from each other, and in many countries there have been elaborate codes governing how officials and private businesspeople can relate to each other, including prohibitions on politicians and officials subsequently joining firms with which they had worked when in office. By contrast, contemporary neoliberalism stresses the value of contacts rather than their risks. The rules governing relations have therefore been considerably relaxed, leading to ‘revolving doors’ between government departments and certain corporations. This provides firms with considerable opportunity, not just for traditional lobbying, but for having their seconded personnel operate from inside government itself. A consistent theme lies behind all these developments: the defining conditions of the market have been shifted so that they include virtually all activities by corporations, whether consistent with market rules or not. This shift originates in the sheer difficulty of maintaining true markets in many sectors. Within competition law, this has been the subject of a major debate. Does economic competition denote a situation in which a large number of firms is present in the market, maintaining constant competitive pressure on each other and providing consumers with extensive choice? Or does it mean an economy in which competition has been able to work to its logical end, of weaker firms being destroyed by stronger ones, with a small number of survivors and reduced choice for consumers? The classic answer of US antitrust law and of the postwar German ordoliberal theorists, whose approach later influenced European Union competition law, had been the former. Trying to apply its principles became increasingly difficult in the US, however. There, so many sectors have been dominated by a very small number of giant corporations that antitrust law, originally seen as the guarantor of free-market capitalism, has come to be stigmatised as ‘communist’ because it led to increasing government intervention to break up large firms. A new school of law and economic thought, developed at the University of Chicago, taught that a truly competitive economy was one in which the winners took all (Bork 1993, Posner 2001), that the logical outcome of competition was the elimination of competition. By this view, therefore, there was nothing wrong with a market dominated by three or four firms; the economists’ ideal of the market where all participants were price-takers and none price-makers was unrealistic. This marked a major step on the road to the false equation of actually existing neoliberalism: corporations equals markets. has never sought much public prominence for this particular aspect of its argument; the more general Chicago idea of a free economy without government intervention was popularised by Milton and Rose Friedman’s television series and subsequent book Free to Choose (1980). But the serious intellectual arguments tell a different story. The issue is not, according to the leading exponents of the Chicago school, what consumers actually want to choose, but what gives them the biggest likelihood of having a choice at all (Bork 1993, Posner 2001). Logically, their scope for choice must be enlarged as wealth is increased in the economy as a whole. If there would be efficiency gains from a number of smaller firms being bought out by a larger one, then that would be the outcome that would maximise what they called consumer ‘welfare’, even if it led to reduced competition and left consumers with a reduced choice of particular goods. Therefore, it is what outcome would be most conducive to the maximisation of consumer welfare, not choice as such, that should be the concern of the law courts in deciding antitrust cases. This raises many issues. Does the removal of decisions about consumer interests from consumers themselves into the hands of judges and corporate lawyers not challenge individual freedom as much as a ‘nanny state’? Moreover, the Chicago school believed that as long as there were three or four firms in a market they would have to compete among themselves; they ridiculed arguments to the effect that when the number of firms becomes sufficiently small then firms could signal their intentions to each other and avoid genuinely competing altogether. For these and certain other reasons, the Chicago approach to antitrust never became completely dominant, even in US courts, let alone in European competition law (for full discussions see Amato 1997, Cucinotta et al 2002). It has, however, been a major influence in shaping how contemporary neoliberalism differs from neoclassical economics: the Chicago school has a relaxed attitude to corporate power, tolerance of very few competing firms in many sectors, and a tendency to equate the activity of corporations with the market itself. It is beyond our scope here to pursue these issues within debates over economic efficiency as such. My themes are the political problems presented by unchallenged concentrations of corporate power. These cannot be resolved by debates over how many firms are needed to make a market competitive. Indeed, neoliberals do not defend a right for oligopolistic economic power to translate itself into political power. They usually just deny that it happens. The answer of the Chicago school itself was simple: the smaller the role that government plays in the economy, the less incentive corporations will have to become politically involved (Bork 1993). So, this argument goes, the problem should be resolved by reducing government, not by reducing corporate power. This is naïve. As we have seen, several important incentives for firms to become politically active are created by the neoliberal project itself, as it requires the regulation of privatised services, continuing contracting out of relationships, and intensified relations between public officials and corporate managers. Particularly challenging for the Chicago thesis is the way in which firms that have become as dominant as their approach to competition tolerates can create systemic problems for the market economy at a level that governments cannot ignore. The banking crisis exemplified this problem, and also revealed how personnel from the leading banks were then able to play a major role, in both the US and the EU, in designing rescue packages and policy responses. Extreme neoliberals have answers to these questions: replace regulation of monopolies by leaving it to consumers to get angry; solve the problem of contracting out by withdrawing public subsidies of individual use of health, education, care or policing services; remove the economic role of government altogether so that no corporations will be interested in lobbying it; let banks go bankrupt and cause a systemic crisis, because then everyone will learn to be more cautious in the future. We can debate the desirability and feasibility of these possibilities, but our present task is to deal with the existing world, in which few of these things happen. There are several kinds of neoliberal. One distinction is between ‘free-market true believers’, who consider that society could be governed entirely by market principles – in which case the problem of corporate political power simply vanishes – and ‘realist’ neoliberals, who know that actually existing markets do create corporate political power, which they do not want to suppress but seek to harness for their own purposes. A perfect expression of the latter was the decision of the US Supreme Court that corporations possessed all the citizenship rights of individuals, and that therefore no limits could be imposed on how they deployed their wealth for political campaigns (United States Reports 2010). The US Congress has long been dominated by lobbyist money, but since that decision the situation has become considerably worse. Any issue that concerns corporate interests, from healthcare to banking regulation to pollution control, will be determined in Congress by the mobilisation of corporate funds. Of course, the US is an extreme case – the weakness of its party system and the existence of within-party primary elections for most representative posts make individual politicians heavily dependent on personal access to campaign funds. But the incentives given to corporations to become politically active do not depend primarily on the funding needs of individual members of legislatures. This is in no way an issue for Americans only to worry about. The most important conclusion to be drawn from these arguments is that the exclusion of corporate power from consideration by constitutional theorists and other political scientists is based on an entirely false premise. It is not true that participation in a market economy removes firms from needing to be considered as wielders of political power. Unless there are perfect markets, only deliberate action can prevent the conversion of economic power into political power and vice versa. Wealth is a political resource, while political power can be used to win contracts and privileges. It is a self-reinforcing spiral, and is probably one (though by no means the only) factor in the extraordinary increase in inequality opening up between a very small number of the corporate rich and everyone else (OECD 2011). Paradoxically, the dominance of neoliberal ideas has intensified the problems this poses, because the form taken by that neoliberalism has been to reinforce the role of corporations rather than of markets. James Cornford would by now have had enough of analysis and complaint, and would have wanted discussion of what can be done about the problem. as we have seen the consequences of the removal of several previously effective rules. Following the Wall Street crash of 1929, the US Congress imposed strict regulation of banking activities under the 1933 Banking Act (usually known as the Glass-Steagall Act), which included limitations on the risks that banks could take with assets deposited with them. 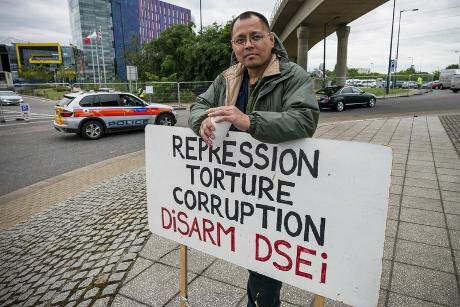 Protest against the DSEI Arms Fair at the Excel Centre in London Docklands in 2013, as members of Stop the Arms coalition highlight the consequences of the arms trade. Following intense corporate lobbying, the Clinton administration repealed the act in 1999, which enabled investment bankers to access vast general bank assets in order to operate in secondary and derivatives markets. The following year, and following further lobbying, the Clinton administration passed the Commodity Futures Modernization Act, which removed all regulation from trading in financial derivatives. The financial crisis, which resulted in large part from investment banks having access to funds accumulated in general banks in order to operate in derivatives markets, occurred just eight years later. We can observe that certain kinds of behaviour had been effectively regulated until 1999 and 2000. Let us take a further example. In the UK’s regulated broadcasting environment, the satellite broadcaster Sky News, partly owned by Rupert Murdoch’s media empire, provides a balanced, politically neutral news service. In the unregulated context of the US, Fox News, also mainly owned by Murdoch, is a propaganda organ of the right wing of the Republican party. However, Murdoch’s UK newspapers are also vigorously partisan, as the neutrality requirement on broadcasters does not extend to the press. Now, meticulous rules govern what candidates and their parties can spend on elections, and these rules are tightly enforced. But while candidates are vulnerable to prosecution for spending even a little too much on poster campaigns, the heavy pro-Tory bias of the national press continues to express itself right through election campaigns. Some media regulation can inhibit bias; but it can also be a case of ‘shut the doors, they’re coming in through the windows’. In some of these cases, regulation (or re-regulation) can provide a satisfactory answer: the problem was not with the previous rules but with the lobbying process that led to their withdrawal. 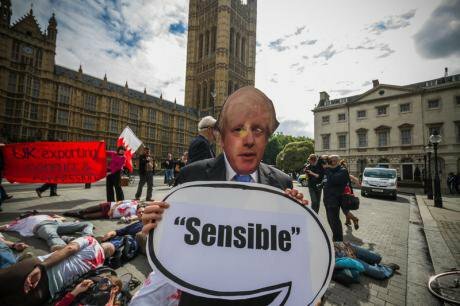 Any campaign for re-regulation has to get past the hurdle of the continuing existence of the lobby groups that achieved the initial deregulation. Similarly, in principle, a later US Supreme Court could reinterpret the ruling on political expenditure by corporations. Rules that made it easier for politicians, civil servants and corporate executives to keep cycling through each other’s revolving doors could be reversed; there could again be severe limits on the roles that seconded corporate staff might play in public policymaking. Regulations and technical criteria that govern public contracts could be made stricter. Political funding could be more closely limited and monitored. Achieving balanced debate in mass-distribution newspapers is more difficult. Oligopolistic concentrations of politicised economic power operate there as dramatically as anywhere, but remedying that in a manner consistent with press freedom is extremely difficult. However, in the long run, many such rules will achieve very little by themselves without constant reinforcement: the rewards from corporate political activism are so great that firms will devote substantial resources and entrepreneurial zeal to finding ways around them. For example, it is illegal in the US for corporations or unions directly to fund candidates’ election campaigns. But it happens, routinely and on a wide scale, as money can be channelled through indirect paths that are legal, though they reach the same destination. Also, the playing field of rule-makers and potential rule-evaders is a very uneven one. Laws and regulations may well be established in moments of reforming zeal, perhaps after campaigns to which many people have devoted much time and energy. Once passed by parliaments, however, these regulations are handed over for administration by professional but not very highly motivated bureaucracies. Of course, individuals among regulators and watchdogs may pursue their task with commitment and determination, but this cannot be guaranteed. Also, they operate with resources that reflect the priority a current government accords their activities, which may not be high – especially when we are talking about regulations that might be inconvenient to the interests of some politicians and senior officials. On the other side stand the regulated: corporations that have very strong and ongoing incentives to find their way around the rules and are capable of buying in the expertise to help them do this. These incentives do not flag or become routine; they are permanently ‘live’, their actors are always busy. It is not surprising that the only people caught out by rules are the ‘small fish’ who lack the resources and incentives to get ahead of the game. Regulations designed to control financial malpractice or improper use of influence – the classes of offence that include many of the problems of corporate power – usually take a particular form. A dense web of rules is produced, alongside demands for elaborate form-filling and presentation of documents, all of which creates inconvenience and expense, is rarely used for any meaningful purpose, and generally proves inadequate to catch the real evaders. When abuses come to light, demands for a tightening of controls lead to ever more detailed rules, which become impenetrable to even the most dedicated regulators, incomprehensible to the general public, and intensely irritating to those having to fulfil the requirements. Eventually the regulations are seen to be absurd, there are demands for their removal, and the sector is once again without controls of any kind. - Given that, for the most part, these new rules will be implemented by passive bureaucracies, and given that anyone with a strong enough incentive is going to find a way round them, will they contribute materially or only symbolically to resolving the problem identified? - If not, is there any point to them? - Or how could they be framed so as to be proof against these defects? One answer is to ensure that relevant information is placed in the hands not just of passive bureaucracies but also of the passionate campaigners who are still watching the issue and care deeply about it. This argues for information requirements being kept simple and made transparent and publicly available, something that the internet has made far easier to achieve. Basic rules that define as improper various political uses of corporate power are valuable, in that they establish limits to what is acceptable from the perspectives of both the concern for efficient market competition and that for the basic political equality of social democracy. They also define offences that can be punished by fines or imprisonment. But reinforcing rules by way of increasingly arcane and tedious reporting requirements soon reaches the limit of ‘added value’. Their main value is the encouragement they offer for a culture of disapproval of the political use of extensive economic power, and for investigative journalism and research that discovers and lays bare abuses for consideration by that culture. Encouraging an effective challenge of corporate power is not so easily achieved when the political class shares in its gains. Investigative journalism into corporate affairs is not so easy when newspapers themselves are largely owned by large corporations. However, if the public appetite is strong enough, these two groups will respond in societies where both democracy and markets are strong. Politicians need votes, and the press needs to sell newspapers. After that, it is up to vigilant citizens, who ultimately should not surrender their responsibility for the quality of the living constitution that governs their society. This essay appears in the forthcoming book, 'Democracy in Britain, essays in honour of James Cornford' to be published by IPPR this February.